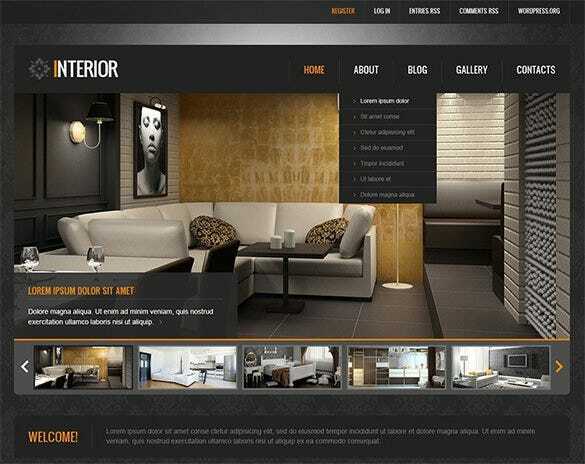 For all those talented interior designers looking to build a pool of clients, WordPress surfaces as a wonderful platform to set the website up, particularly so with some astounding interior design relevant templates up for grabs. 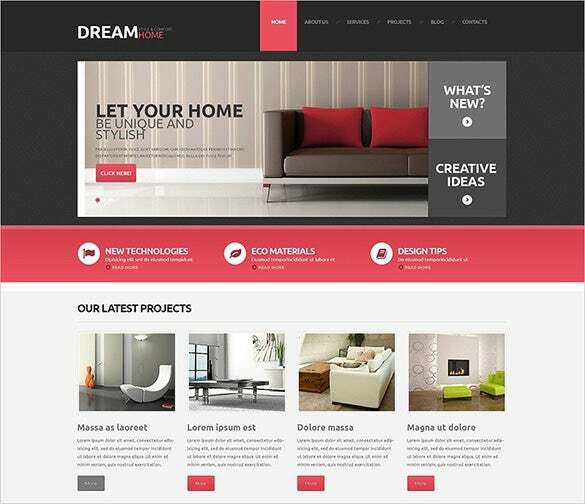 Discerning coders can leverage the availability of HTML and CSS files, and designers can unleash themselves on the layered PSD files for the fine tuning of their websites using these templates. 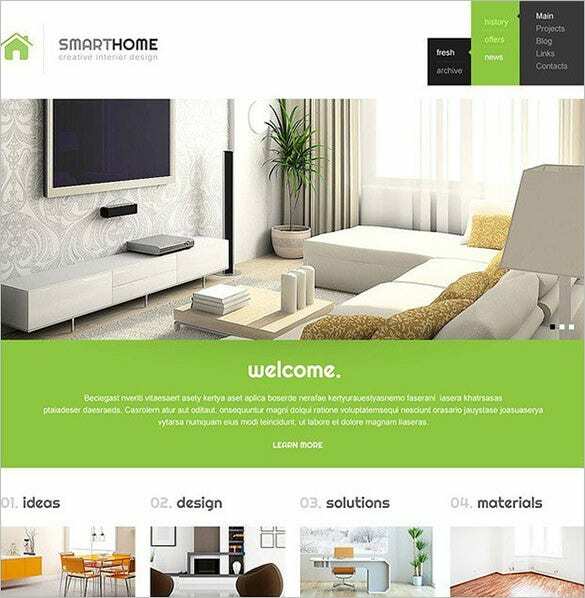 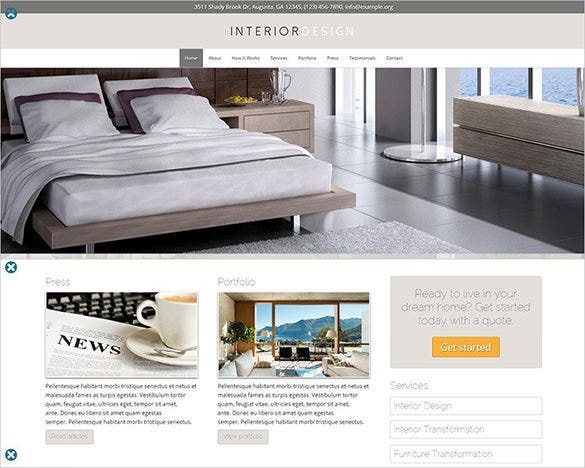 Empowered with smart and very relevant SEO options such as focussed keywords based meta tagging, article titles and URLs, these templates are the speediest vehicle to web success with your interior designing services. 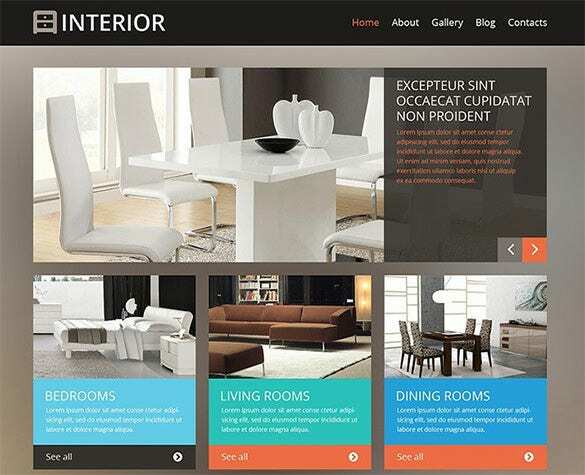 High resolution images of your interior designs, based on the fluidic effects created by AJAX based image galleries, are potent enough to create an aesthetically overpowering impression upon viewers of your web pages. 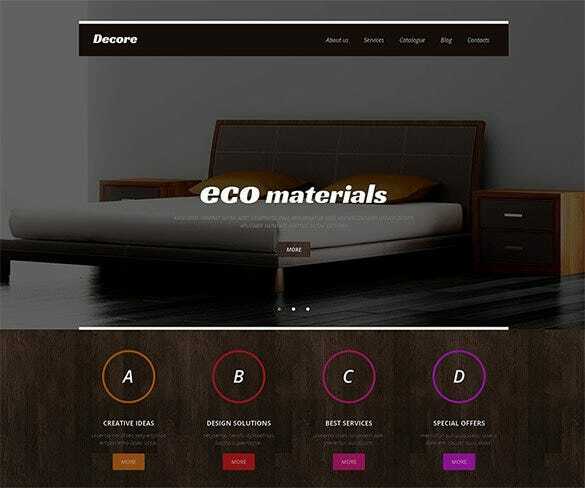 Generating leads and delivering quotations to your prospects is enabled with lean and powerful tools and inclusions such as contact forms, form builders, newsletter management tools, and more. 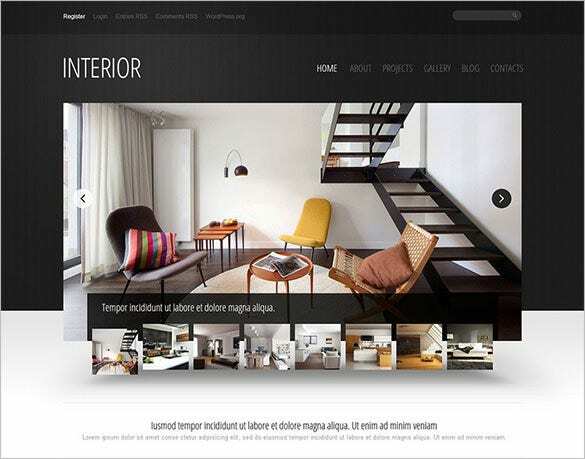 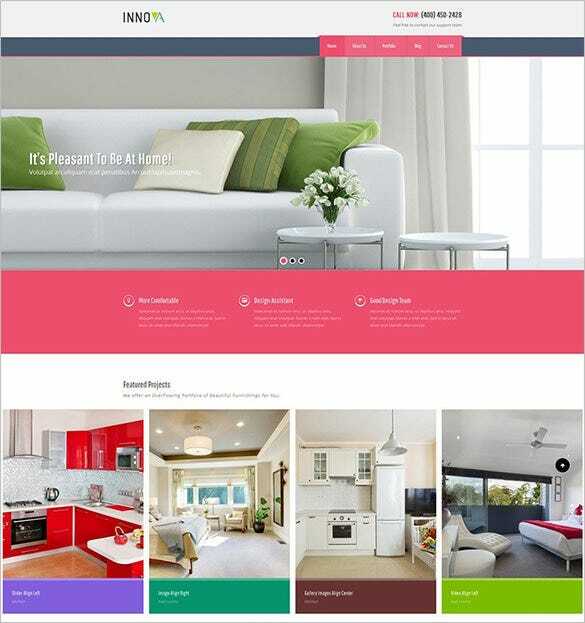 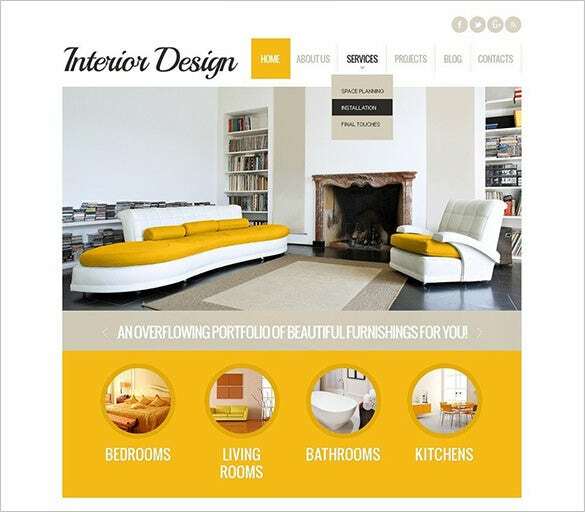 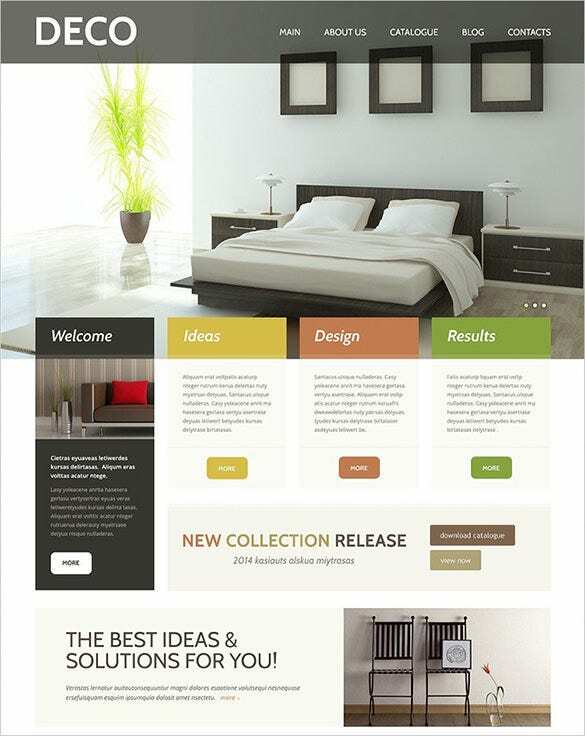 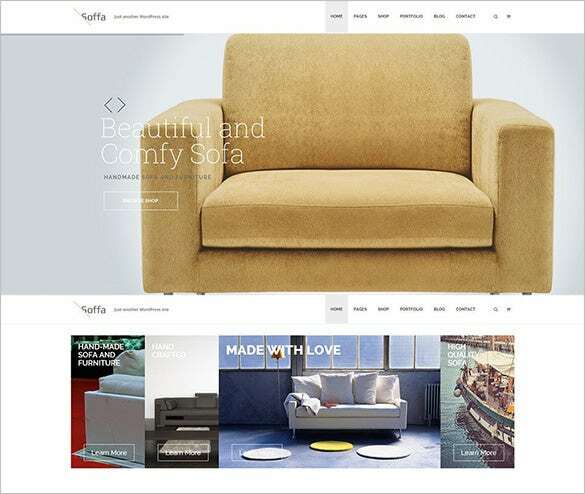 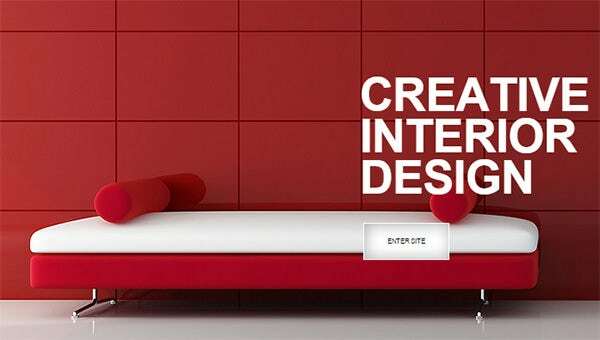 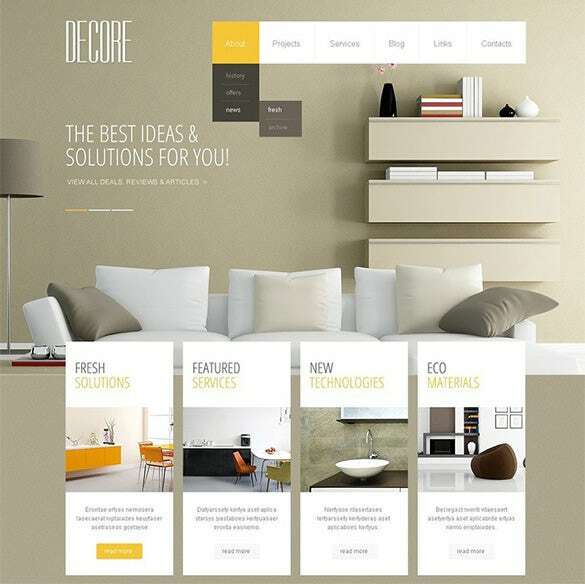 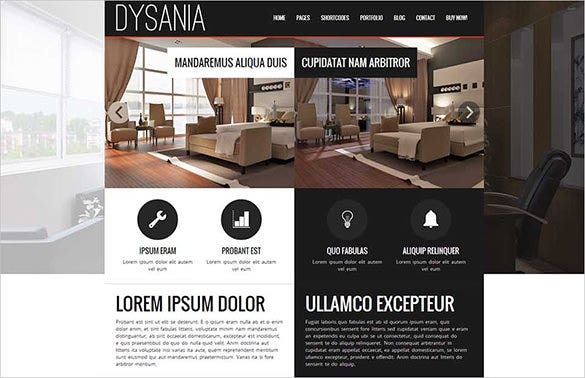 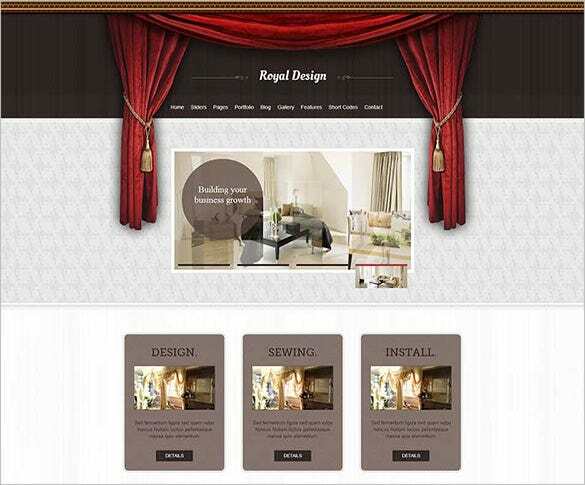 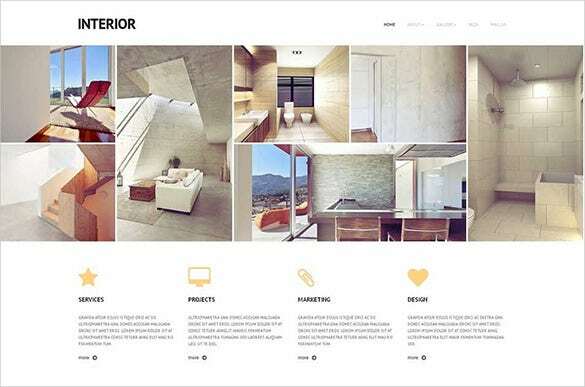 Design and multimedia elements such as dividers, headers, footers, images and video files, icons and buttons are included with these themes, enabling code-free web design tweaking for the demanding interior designers.